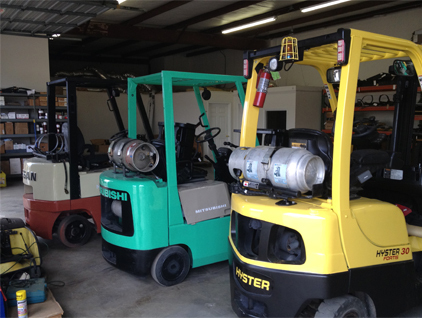 Forklift Partners, LLC in Charlotte NC is a world-wide supplier of used forklifts and forklift parts. We offer a wide range of trucks in the market and want to be your partner in supplying good quality used equipment and parts. Looking to replace your older forklift equipment? Why buy new when you can get good quality used forkliftt and save thousands of dollars in the process? Let us buy your retired forklifts to save you even more. Our expertise and network will help ensure you get the best pricing in the market. We also offer a tremendous inventory of high quality used forklift parts for a significant discount on new parts prices. Our business operation started in May of 2012 and has grown very successfully as a result of continued and significant repeat customer business. We are confident that if you try us once for your forklift purchase and service, you will come back time and time again as our philosophy is one of developing and supporting long standing customer relationships. Our team has over 50 years of experience in the industry. We understand the importance of great customer service and stand behind the equipment we offer. Content copyright . Forklift Partners, LLC. All rights reserved.